Artificial intelligence (AI) is slowly yet surely finding its way into our everyday lives. From driverless cars to robotics and smart homes, we see more and more AI applications in the real world. In business, AI technologies are also turning things around, and customer service is one such department that has vastly improved. AI allows you to come up with better, more innovative products and services for your market. Moreover, AI can be helpful in streamlining your organisation’s processes so that customers don’t have to go through additional channels or steps to receive the support and care that they need. The bottom line is that AI has the potential to improve the overall customer experience for your business. Before introducing AI into your customer service model, think of the following factors. AI is not a trend that you should just jump on without first understanding how it could help resolve problems for your customers. A good rationale for implementing AI-based solutions in your business is that it has to add value to what you’re trying to accomplish – whether it’s improving customer experience or getting ahead as an industry leader. Despite current advances in AI, the technology still has a reasonably nascent nature to it. This means AI programs are open to vulnerabilities that might affect the way the technology works. Therefore, it is your responsibility to ensure that you know the risks involved when you migrate your office systems in an AI environment. Also, you should have the means to identify and manage those risks, so they don’t affect your customers on a large scale. AI can speed up your customer service processes and make it more accurate. On the other hand, you also need to consider the impact of reduced person-to-person interactions among customers. With this type of dilemma, you should determine the extent that AI could work for your business. Here are some ideas to get you started in using AI to deliver the best possible experience for your customers. Chatbots are capable of carrying out conversations with customers who contact your help desk. 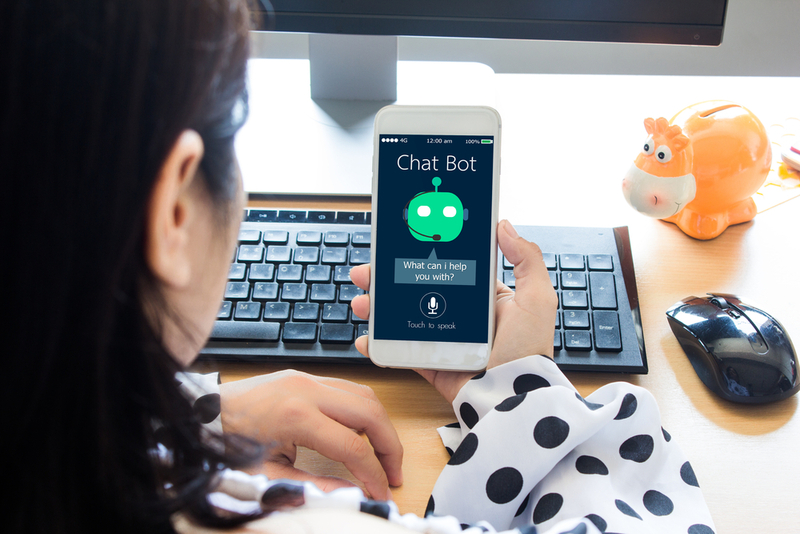 Chatbots only need auditory or textual clues to answer commonly asked questions from customers, such as what time your shop closes or where your nearest store is located. Bots can also perform tasks for customers without having to wait for instructions or personal involvement from human agents. If your company is in the real estate industry, for instance, bots can take your customers on a virtual walk-through of your properties by showing them pictures and details of your current or future developments. Customers who are seriously considering buying any of your properties could use the information to help them decide before contacting your office to request for a personal tour of the property. Chatbots can speed up and enhance customer support by providing information to customers promptly. You can then use that information to determine if your products match their needs based on the information gathered by your bots. 2. Customise the shopping experience for customers through AI. Through AI technologies, you could set up a customer relationship management (CRM) system that would allow you to collect data about your customers’ shopping profile, habits, and preferences. This makes easy for you to come up with relevant recommendations for your customers. Use demographical data, such as age, gender, location, or employment status, to determine which products might interest or suit your customers the most. With AI, your customers don’t need to sort through tens (or hundreds) of products on your site, but they’re immediately offered a product or service they need. Track your customers’ online shopping history to anticipate when they are likely to buy from your site again and send them friendly reminders beforehand. Instead of using a standard CRM system to track your customers’ preferences, you could integrate additional tools or features into your system, too. Those extra CRM functionalities could tell you if a specific market holds biases against certain products or services. This way, you won’t be serving customers in that particular market with anything that doesn’t appear to be interesting or relevant for them. 3. Use messaging apps for ordering transactions. Messaging apps can help streamline your ordering process, too. Since a large number of consumers prefer to communicate via live chat instead of phone or email, you might as well include this strategy in your online ordering system. The key is in designing your live chat service to receive orders from customers that eliminates the need to redirect them to your website, making it much easier for them to complete a purchase. 4. Safeguard your customers’ accounts with facial recognition and other security protocols. Fraud and scams are the ugly by-products of the technological revolution, but you should be able to assure your customers that your IT infrastructure can keep their data and accounts secure. Facial recognition, two-factor authentication, and one-time password (OTP) are just a few examples of AI technologies that you could use to verify the identity of people who are using your system. These additional layers of security can help ensure that there are no unauthorised transactions in your customers’ accounts, or it could send a bad message about your business’s quality and level of customer support. 5. Automate your feedback system. AI-assisted programs in customer service are meant to make all interactions with customers fast through automation. However, that is not the only scope of AI as your staff could also benefit when you let them use tools that make their work more efficient. In the case of outsourcing companies, quality assurance (QA) managers no longer have to rely on QA monitoring sessions alone to provide coaching, feedback, or improvement suggestions among help desk employees. There are now tools that use behavioural science data to give customer support agents instant feedback about the way they’re handling calls with customers. Are they speaking clearly? Do they sound enthusiastic or empathetic enough based on what the customer’s situation calls for? These areas are important to make every service call with customers as satisfactory as possible. The future of AI has already started, so make sure that your business doesn’t get left behind. You could begin a successful integration of AI in your business strategy by providing consumers with fast, convenient, and carefully chosen solutions for their needs.